This is the paper doll dress that started it all. 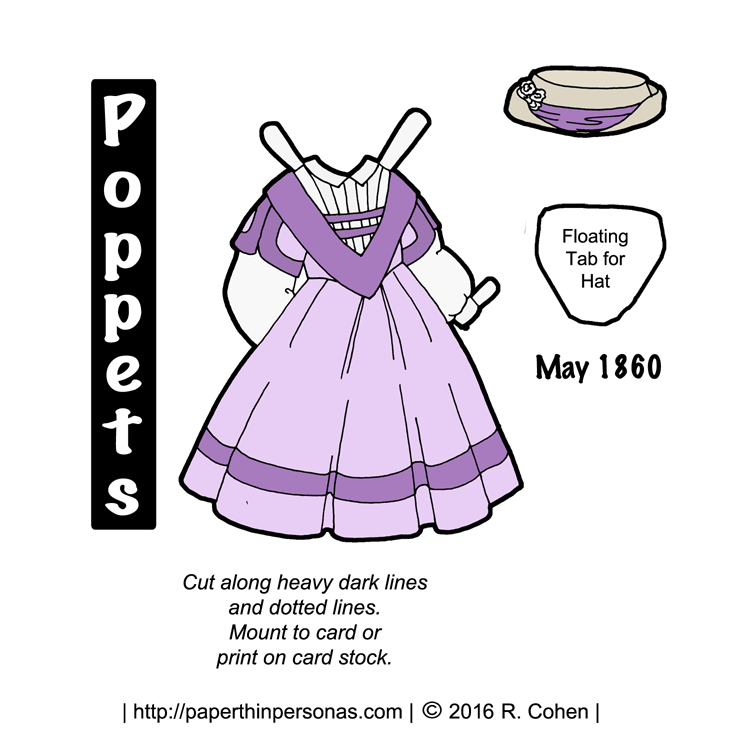 One fashion plate from 1860 inspired this whole week of 1860s children’s paper doll dresses. Isn’t it funny how that can happen? I came across this fantastic plate from Le Bon Ton (another 1860s women’s fashion magazine) and I just knew I wanted to dive into this era. It helps, I suspect, that I’ve always had a soft place in my heart for Victorian children’s clothing. Mostly, I think it is more true to say that I’ve always had a place in my heart for antique dolls and that has led me to a soft place for children’s clothing. As you might notice from the fashion plate to the left is that you can see her pantelettes or pantaloons. Tomorrow, there will be two pairs of 1860s children’s underwear, so you two can create that look along with two pairs of shoes. The fashion plates from the Casey Fashion Plate Index which is such a great resource. I will keep repeating how much I love it probably until the end of time, or at least this week. As a friendly reminder, the black and white versions are linked above with the PDFs. Also, if you need a doll, here she is from Monday. If you love the blog, than think about supporting me on Patreon or leaving a comment. As always, I love to hear from everyone.